It seems each fall everyone finds a new favorite vegetable, pumpkin. From Starbucks to Trader Joe's the pumpkin flavored products abound, but if I'm being truthful... most of them just aren't that healthy for you! That Pumpkin Spice latte is filled with saturated fat and your daily allowance of sugar, so while it might be fine as a treat... skip it as part of your daily routine. The same goes for all of those pumpkin cookies, candies & ice cream I saw at Trader Joe's over the weekend.You can crack open your own can of pure pumpkin pie puree and make some great things and you'll be getting all the goodness of eating REAL pumpkin. Not the fake stuff pumped into all of the above products. 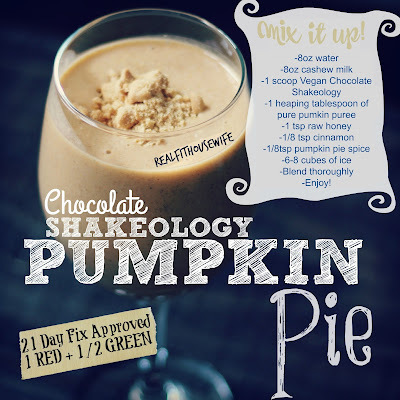 So here's my favorite fall-time Shakeology recipe using you guessed it, PUMPKIN! 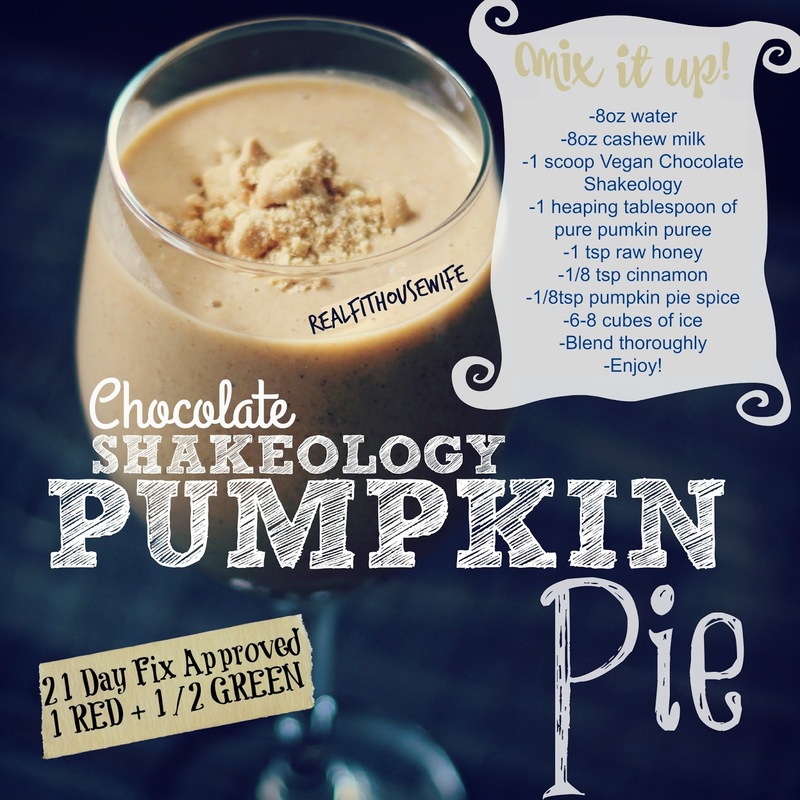 So here's how to mix it up and yep, you can enjoy this fall treat daily without having to worry about your waist line. 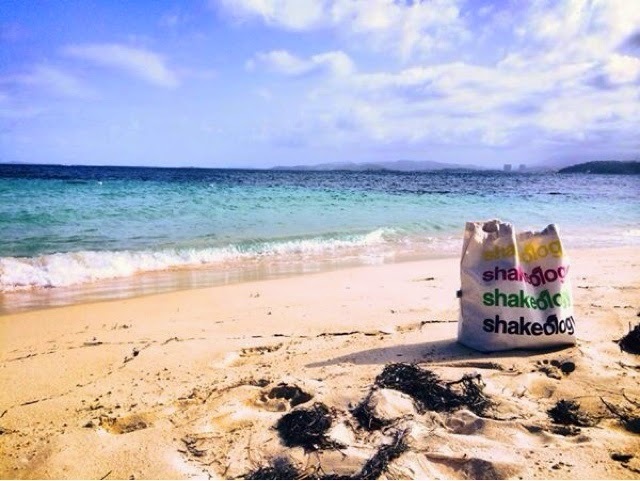 Blend thoroughly on high for 1-2 minutes until shake is smooth & creamy. You'll find the pumpkin gives it a very smooth & pudding-like consistency, which makes it filling & delicious! ENJOY. Have you ever had a real deal Monte Cristo sandwich before? I have! And it probably goes down in history as one of the most amazing, rich & decadent sandwiches ever, but that also means I eat it never. That seems so crazy though, because I do like them... there's just something about turkey & raspberry together, that I decided I would have to remake this sandwich the healthy way. 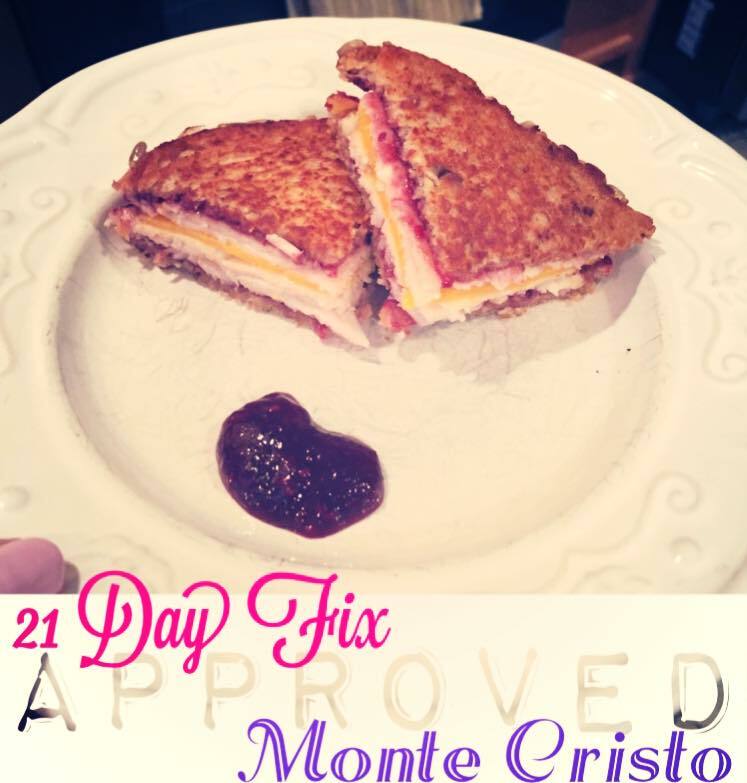 So here's my take on a much healthier, clean eating version of a Monte Cristo and yes, it's even 21 Day Fix approved. 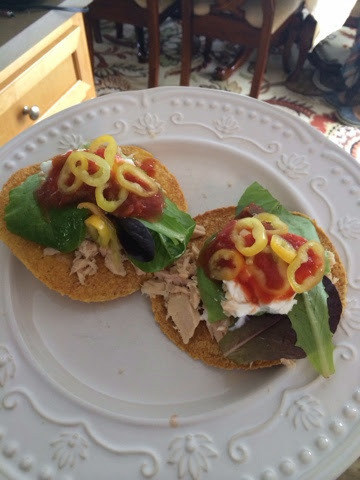 These were a hit with the whole family too! 1. Make your sandwich... slice your whole grain bread in half, top each half with raspberry preserves, layer on your red container of turkey and add your slice of cheese. 5. Cut in half and serve with a small side of raspberry jam, if you wish! Enjoy! I hope you love this sandwich as much as me. Crockpot Salsa Chicken is an easy family meal. I typically make it every other week for family taco night and the leftovers are nice to have on hand for quick & easy snacks or meals. 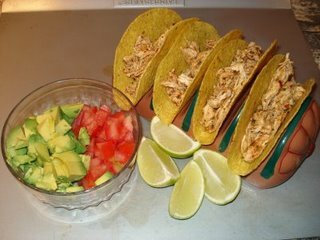 Follow the recipe below for simple & delicious chicken tacos, salads, wraps & more! Combine both ingredients into a crockpot and coock on high for 4-6hrs. Once cooked through, let cool and shred with a fork. Then add in black beans, kale, corn, etc... to create a healthy & nutritious meal. It's great for tacos, fajitas or even a salad. You can also freeze it in a large batch or in small portions for easy meal prepping! I love Nestle crunch bars, but let's face it... their calorie count and high sugar content isn't exactly on my healthy eating plan menu. On occasion I like a chocolate sweet treat and these definitely hit the spot. They're SO simple & SO good and I'm promising you... your whole family will love them! My sweet tooth needs a little chocolate on occasion. Yes, I do dearly love my daily chocolate shake, but when only one thing will do.... like Reeces PB Cups, these little superfood packed bite-size candies certainly fit the bill with a way more nutrients and a lot less sugar. 1. Add 1 scoop of Chocolate Vegan Shakeology to your mixing bowl. Add in 3tbsp of melted coconut oil. 3. Press 3/4 of the mixture into your silicone mold. 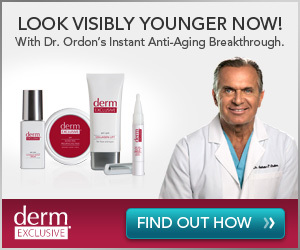 Set into your freezer for 15m to harden. 4. Remove silicone mold from freezer and add a layer of PB onto the hardened mixture. Set into freezer for 15m to harden. 5. Remove silicone mold from freezer and layer in the last 1/4 of the mixture into the molds. Press with a spoon, if needed. Place back into the freezer for a final 10 minutes to set. 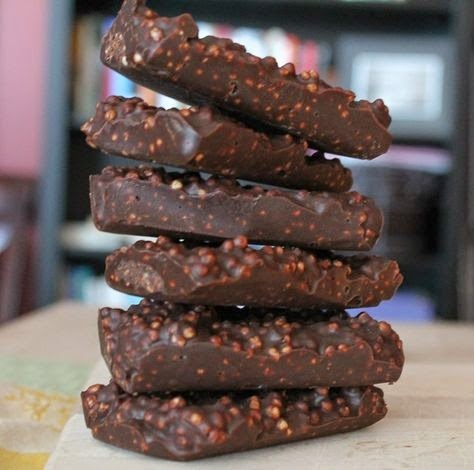 This recipe makes approximately 22 bite-size candies. Store in the fridge or freezer in an air-tight container. My girls love sweet treats, but I'm always trying to make them healthier. They come by it honestly. I love cookies, cupcakes & donuts, but I know I can't be eating that stuff a lot if I want to reach my goals. Honestly my favorite splurge is after a few weeks of hard work to go on a date with my husband, order a nice steak and have dessert. It's the perfect portion for me! But on occasion I make a sweet treat at home for my family. They love it and the healthier the treat... the less tempted I am by it. SCORE! 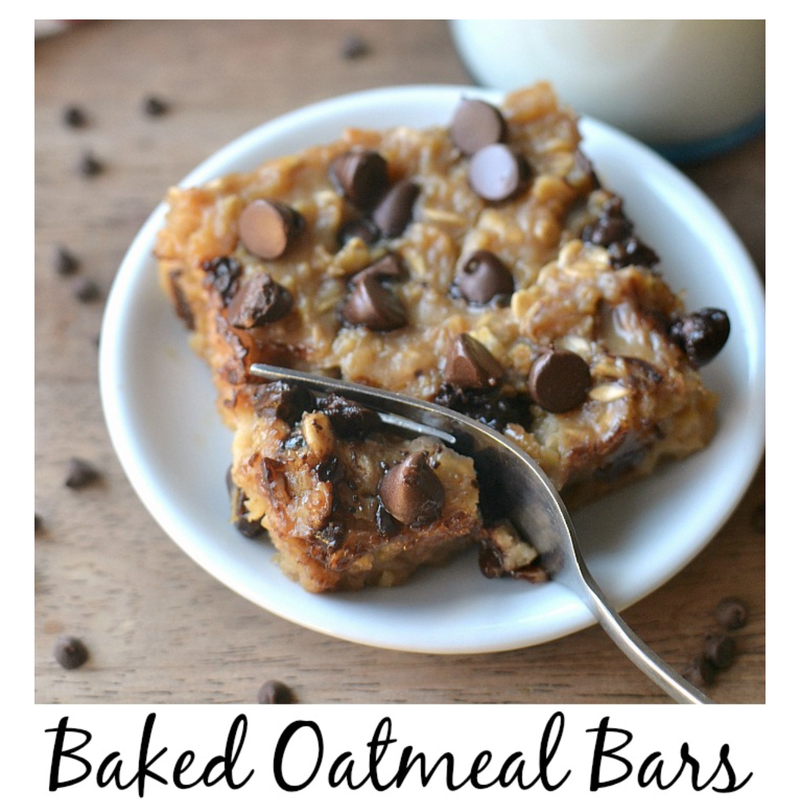 So try these Baked Oatmeal Bars for your family. I can't wait to hear what you think. They would work in a pinch for breakfast although I might omit the chocolate chips or would make a pretty delightful after-school snack! 1. In a large saucepan, combine oats, coconut sugar, coconut milk, peanut butter, and eggs. 2. Simmer over medium heat 20 minutes, stirring often, until thickened. 4. Pour into greased 9x13 inch pan and top with chocolate chips. 5. Bake at 350 degrees for 30 minutes or until oatmeal is set. 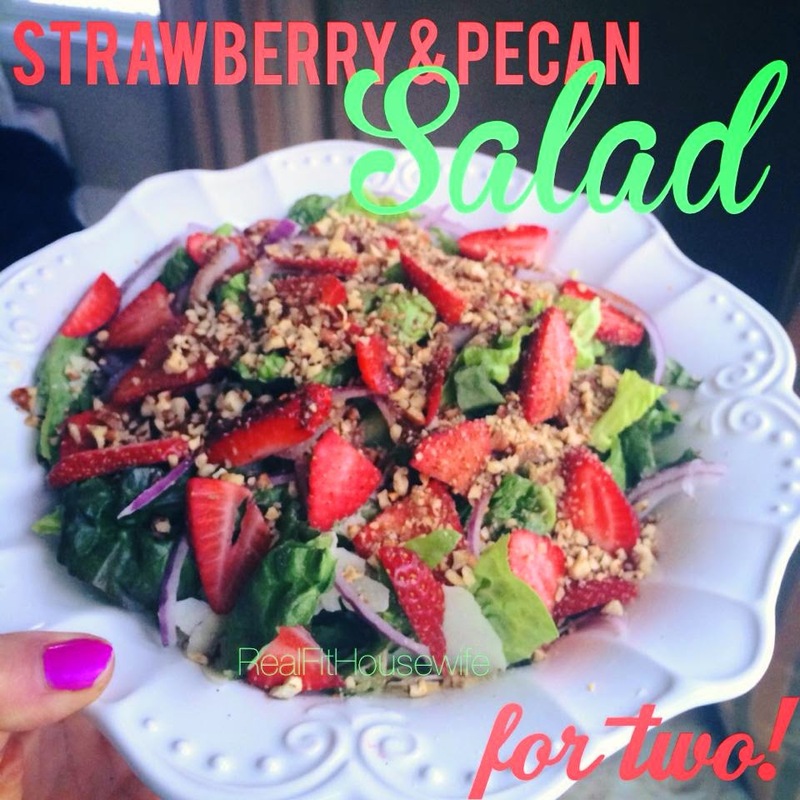 Strawberry Pecan Salad for 2! This is what Jeff & I are having for dinner tonight along with a filet of salmon & a side of sweet potato. Sometimes a simple & easy dinner is in order after a busy Friday!! Are you ready?! Ready for Double Chocolate Banana Cake?! I had a bunch of ripe bananas and decided I should make something that my family would LOVE, but that is still pretty healthy! 1. Preheat the oven to 350 degrees and coat an 8x8 square pan with cooking spray. 2. Combine the mashed bananas and sugar into a large mixing bowl and stir until the sugar is dissolved. 3. Add the applesauce, vanilla and egg. Stir to combine. 4. Stir in the flour, cocoa powder, baking soda and salt. Add the chocolate chips and pour into the prepared baking pan. 5. 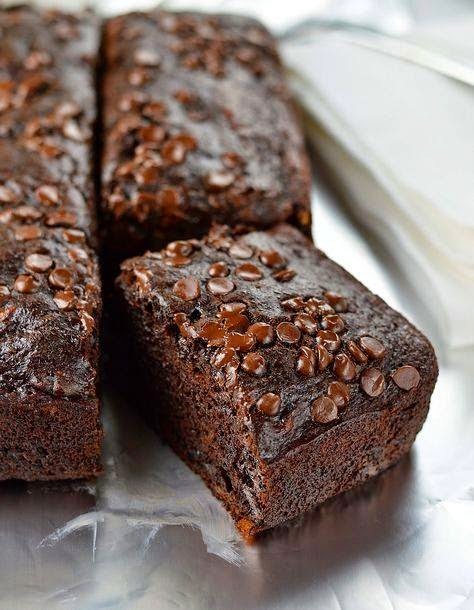 Sprinkle mini chocolate chips over the top and bake for 25-30 minutes. Makes 16 squares, store in an air-tight container. 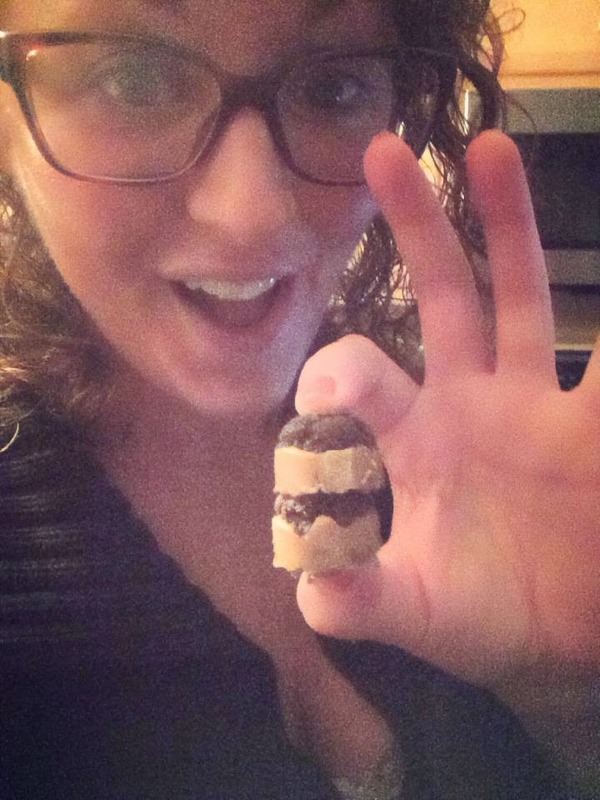 If you're doing the 21 Day Fix you can have 1 of these and count it as a yellow, ENJOY! Four years later.... WOW. Is there anything left to say?? Four years ago I would have NEVER told you I would be where I am today. Never. I didn't believe it was possible for me. Yes, I loved my life as a stay at home mama and I knew that's right where I was meant to be, but I can't explain it... I just knew I was meant to do MORE. So was it just coincidence that I stumbled upon ChaLEAN Extreme & Shakeology, saw it start to change my life & start as coach a month later?! I like to think there was a greater plan in place all along. Because I don't really believe in luck, I didn't just get lucky in this business. I worked hard for a long time with little to no real traction until something changed. 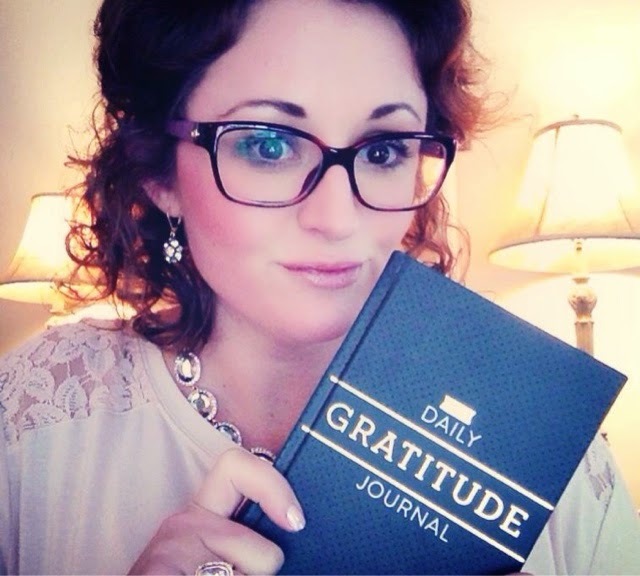 I had been a coach for nearly a year and a half when an event in my life had me grasping for more. Beyond my girls, beyond this little Beachbody job, beyond my marriage I needed something LARGER THAN LIFE to fill me up. I knew where I was being led. It was that following Sunday when I walked into church for the first time ever with an open heart. The first song started and like a flood the tears began. God had entered my life, my heart, my marriage, my family and for the first time in a very long time I felt complete and a sense of peace I cannot explain. In November 2012 I accepted Jesus as my Savior and gave God complete control of my life. For the first time in my life I had FAITH. Faith not only in myself, but in my ability to lift up and believe in others. And well, you can see what a little FAITH will do for you, your family and your business. It's not really a surprise to me what happened over the course of 2013 & 2014 as I let God just take control and use my life & my story to inspire others. 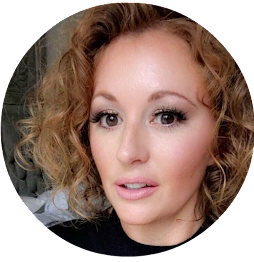 I became and "All In" Coach, because I knew that lives could be changed, I knew other moms & women could find themselves again through health & fitness, and I knew other coaches could change their lives with this business if they just had a little FAITH. This truly is just the continuation of MY story. I feel like this business was designed for me, but was I an instant success? No. Did I make mistakes along the way? Yes. But for once in my life I didn't give up on something because other people were depending on ME. God doesn’t call the qualified, he QUALIFIES the CALLED. I had finally found a way to live my passion & purpose and to use my story & my struggle to show someone else it was possible. I feel SO BLESSED to have not only found my passion & my calling, but to have inspired so many others to RE-CLAIM their life, dream a little bigger and pay it forward. So where will I be in another year? Perhaps another 290% raise? Maybe. But I can tell you that wherever I am... it'll be right where He wants me to be! Gimme all the chocolate! Seriously I know I can't be the only woman who on occasion needs chocolate to function. 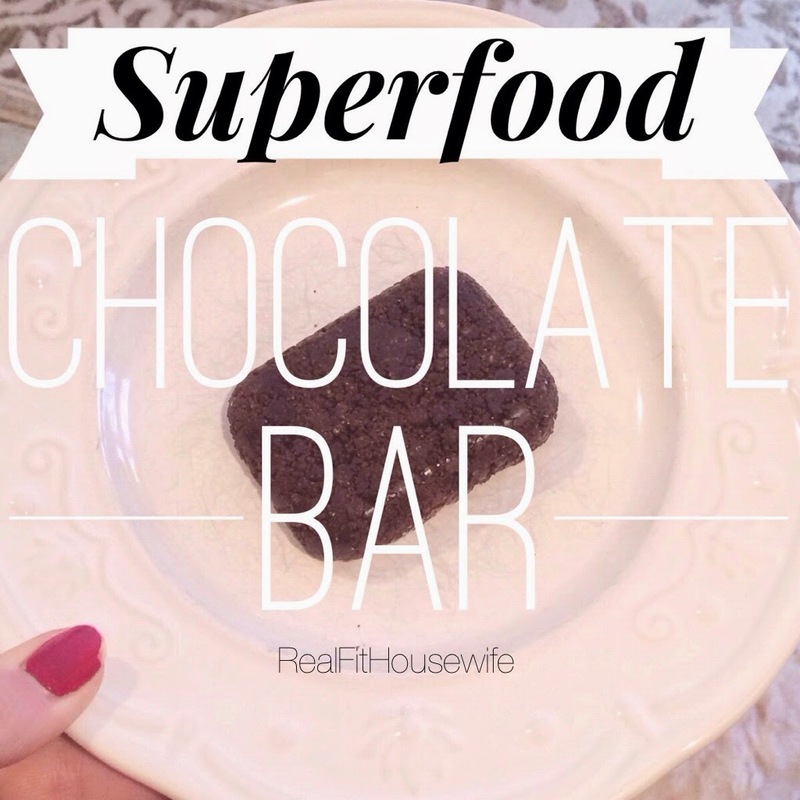 I swear it is a part of our DNA and I am all about satisfying those cravings, so they do not spiral out of control so in comes this super quick & easy to make Superfood Chocolate Bar. Here's the recipe! 1. Combine 1 scoop of Chocolate Vegan Shakeology, 1tbsp of melted coconut oil and 2tsp of room temp peanut butter into a pyrex mixing dish. Mix with a fork until combined and mixture is crumbly. 2. Divide mixture between two air-tight containers and press into the bottom of the container with a spoon. 3. Seal containers and place in the freezer for 15 minutes. 4. Remove from container & enjoy!!! Makes 2 bars! Share with a friend or save one by storing it in the fridge for a later chocolate craving date. Please keep in mind these are a TREAT, so do not go eating them daily! 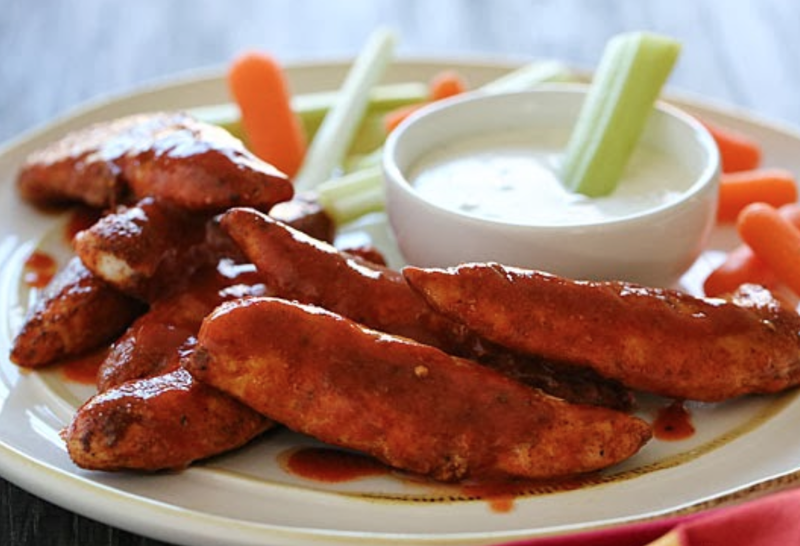 If you have a man in your life chances are they love things like wings, beer and pizza. While some things can be made a little healthier something cannot, so on Super Bowl Sunday I usually make up a few healthy dishes and let the guys still have their beer. Seems like a wise compromise, right?? I think so! Well, if you're like me you've had a new recipe just bomb. Like it was just bad and your whole family refuses to eat it, so I know better now and try out any new recipe well in advance of a big party or get-together like the Super Bowl. Enter my Clean Eating Buffalo Chicken Tenders! 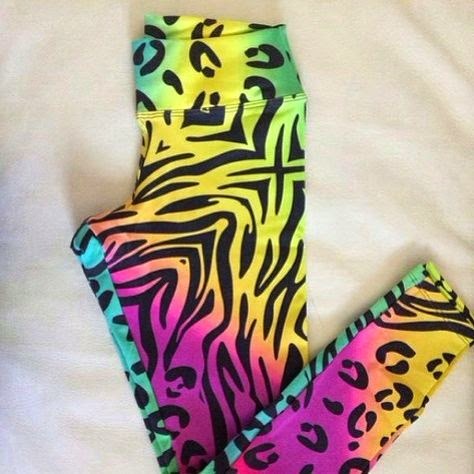 I made these about three weeks ago on a test run and sure enough, they were a hit. Jeff was eating them, loved the kick of heat in the sauce and said these were a new favorite! Well, here's the recipe that will surely please your football crowd this weekend. Combine olive oil, garlic powder, paprika, chili powder and black pepper in a medium bowl. Season chicken with spices and toss to evenly coat the chicken. Heat a griddle or large non-stick pan over medium-high heat. Add half the chicken and cook until golden, about 3-4 minutes, turn chicken and cook until center is no longer pink. Set aside; repeat with remaining chicken strips. Pour about 1/2 of the bottle of Frank's Red Hot Buffalo sauce into a medium bowl. 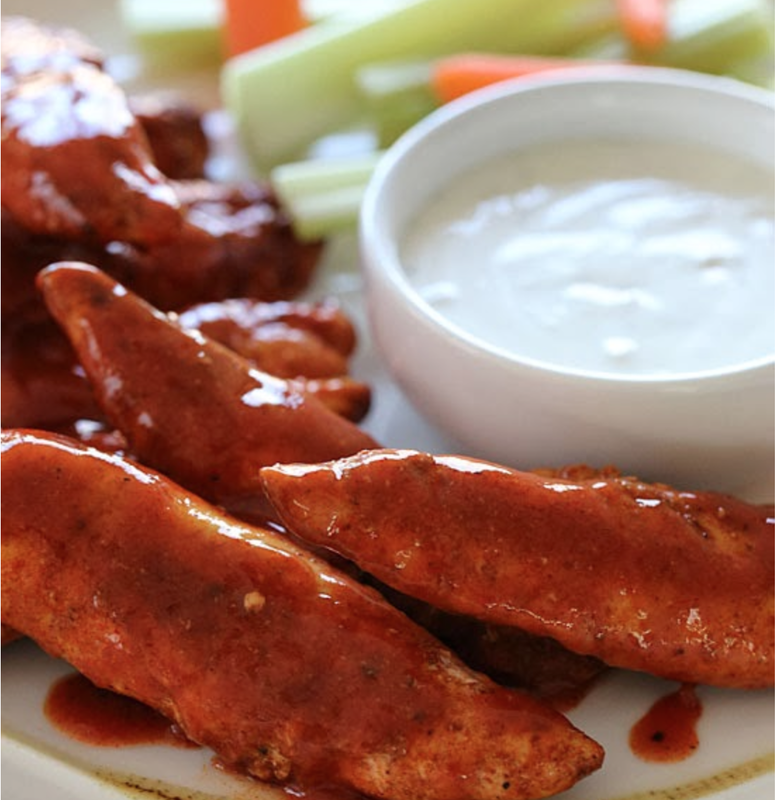 Place cooked chicken strips into the hot sauce and evenly toss to coat entire strip. Place on a platter to cool. Serve with celery sticks & carrots, plus skinny blue cheese dressing if desired. It is not always easy as a mom and wife to please both your children and your husband, but these simple sandwiches deliver. 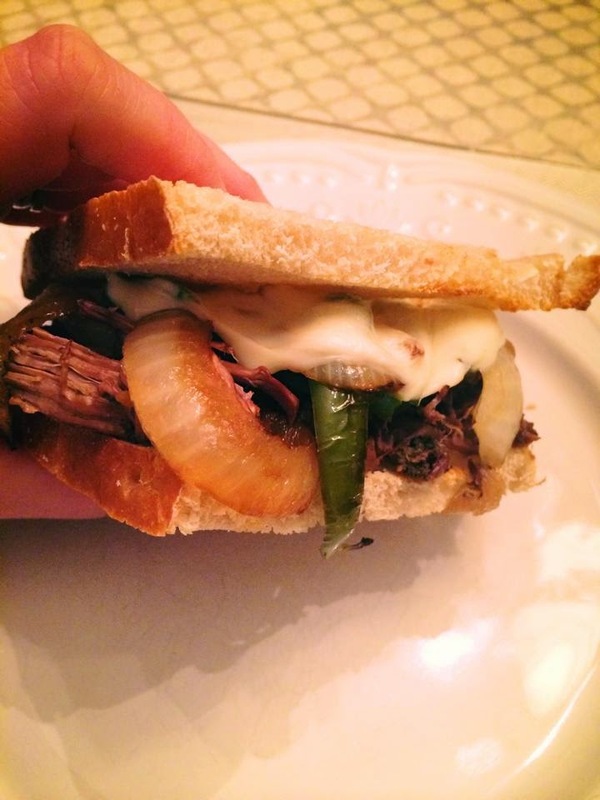 This hearty, healthy and warm sandwich will be a hit in your home on a chilly winter evening. Serve with a side salad or fresh fruit and you have got a great meal the whole family can dig into! First up, haul out your crockpot and turn it on to the warm setting. Place your roast in the crockpot, top roast with garlic powder, no salt seasoning, sea salt & black pepper. Add in beef broth to come up both sides of the roast. Add in 2tbsp worcestershire sauce to the broth. Slice up 1/2 onion and layer on top of the roast. Let cook on low for 6+ hours. Beef will be very tender!! 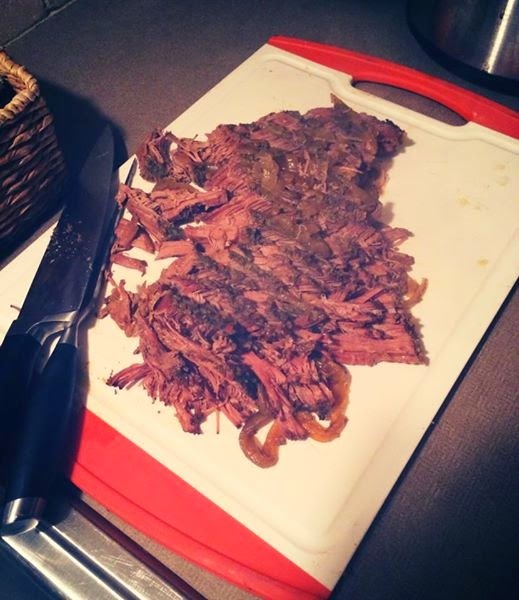 Remove the beef roast from the crockpot and slice the meat. Now you're ready to make the sandwiches. My favorite bread for a sandwich is sourdough and Boudin's Sourdough, which you can buy at Costco is the best! No weird ingredients and it toasts fabulous too. 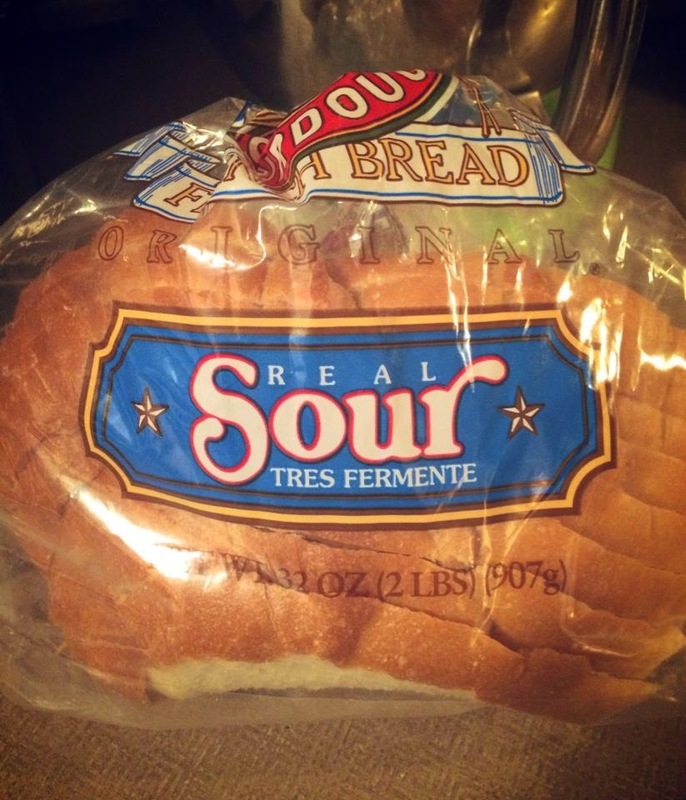 You could use a more traditional french loaf for this recipe as well. 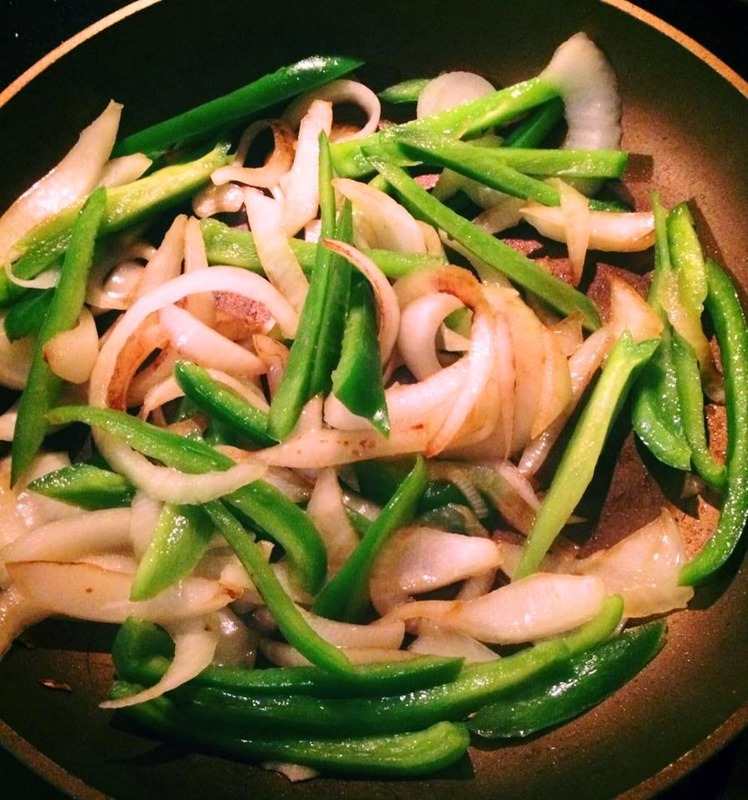 Once you have your toast toasting sauté your onions and peppers in a pan with olive oil. Cook until tender. Assemble your sandwiches! Once my bread was slightly toasted, I measured up my 21 Day Fix red container with meat (my protein), topped it with lots of veggies, 1 slice of provolone and the last piece of bread. I served it with a side of au jus from the crockpot!! In winter in Michigan soup just seems like the perfect comfort food. It's hearty, it can be healthy and warm. I always get one complaint from my husband though... soup isn't a filling meal, I am always hungry an hour later. So I knew I had my work cut out for me. I was going to have to find and make some soups that nourish even the hungriest guy, my husband. Oh and of course at my house it's always a bonus if it is a kid-pleaser too. 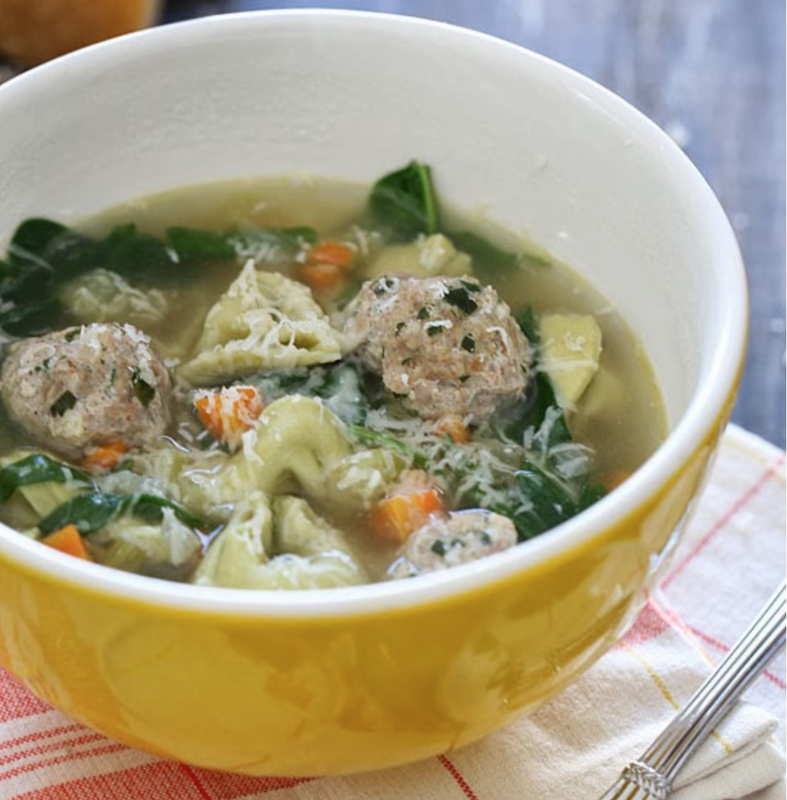 My girls are picky on occasion, but after one bite they were singing the praises of this soup as well. 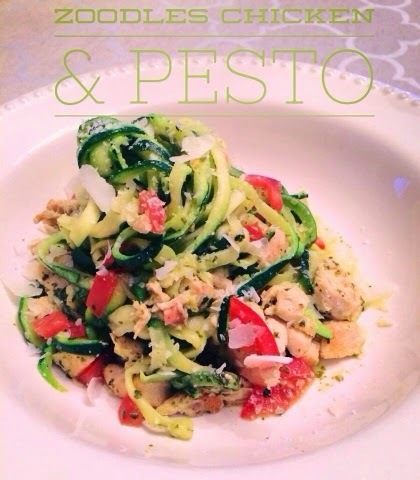 Combine the ground turkey, breadcrumbs, egg, spinach, garlic, salt and parmesan cheese. Using your hands, gently mix all the ingredients well until everything is combined. Form small meatballs, about 1 tbsp each or so, you'll get about 20. In a large nonstick pot or Dutch oven over medium-low heat add in olive oil, then add the celery, onion, carrot & garlic. Cover and reduce heat to low and cook for approximately 8-10 minutes until vegetables begin to soften. Add the chicken broth and increase heat to medium-high and bring to a boil. When broth boils, season with black pepper to taste. Reduce heat to medium and gently drop in the meatballs. Cook about 4 minutes. Add the tortellini and simmer until cooked according to package directions, about 7 minutes. Once cooked add the baby spinach. Stir to combine and serve topped with fresh Parmigiano Reggiano. Serves 8. We had this for dinner one night and the leftovers the second night. Seven years ago I made just over $23,000 a year working in marketing and advertising. My work was fun, but the hours were long and the pay was not good. There were 200 people who wanted my job. I was replaceable. Well, after the birth of our first daughter, Audrey, my husband and I took a huge leap of faith and I quit that marketing job to stay home and raise our baby girl. I was excited, but scared. I soon learned that motherhood was one of the most rewarding and most thankless jobs out there. I was so blessed to never miss a moment as Audrey grew up, but this thought lingered in my head... would I someday have to go back to work?? And it scared me. So in the meantime I dabbled in little projects. I did some floral design on the side. I wrote a blog. I sewed and designed a line of infant & toddler sized hooded towels that were sold in local boutiques. In a way, I realized a little entrepreneurial spirit was brewing inside of me, but I had no real money to make a go at any of them. A little over two years later we found out, SURPRISE, we were pregnant with baby #2. At this point, I almost did not feel ready to be pregnant again. I felt I was starting this pregnancy at an unhealthy weight. Were we ready to be a family of 4? Would this change everything? Could we afford another baby? Well, sure enough Finley was born and she was perfect and completed our family. And once home and happy and healthy I knew it was time to focus a bit on me. When Finley was 6 months old and a new year had rolled around I officially committed to my own health & fitness journey. It was time for this mama to do something for herself. 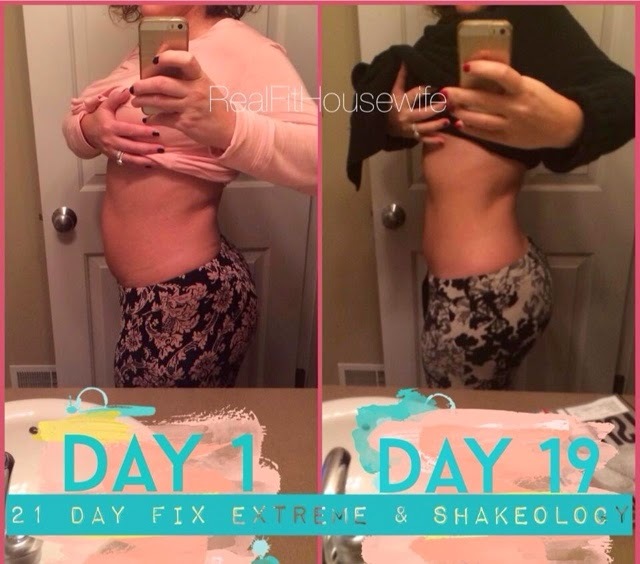 I ordered ChaLEAN Extreme, eventually Shakeology and about five weeks later signed up as a Beachbody Coach. 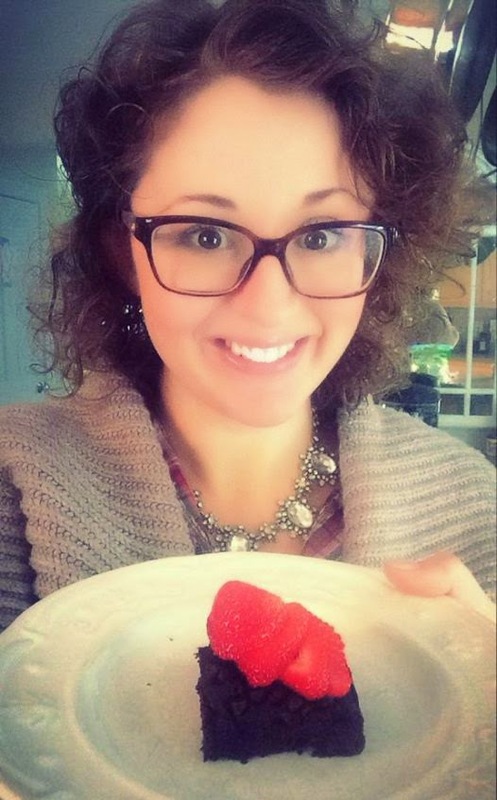 At the time I had only lost maybe 7 or 8 pounds, but I felt great, more confident than ever before and there was this little voice inside my head saying, "Do it! Pay it forward! What's the worst that could happen? 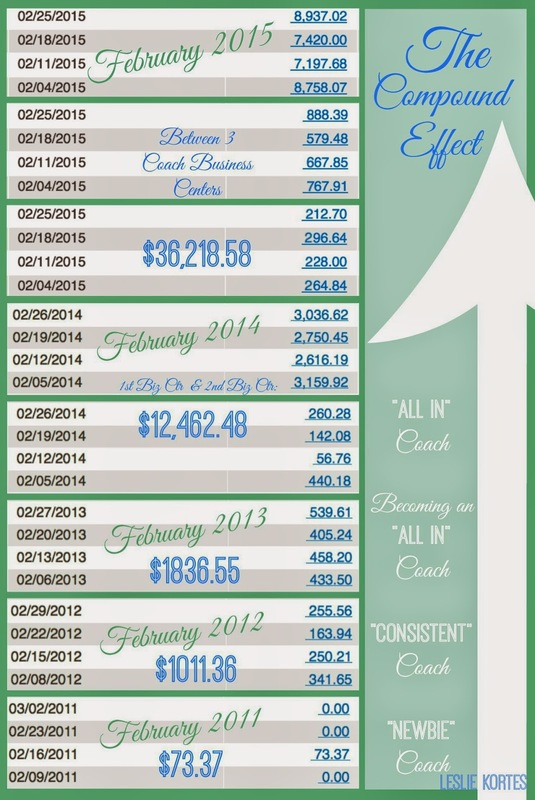 You'd get a discount, help a few friends and hopefully make $100 per week!" We were a family that was just like so many other American family out there. We were living paycheck to paycheck. I sold things on Ebay and Craigslist to pay for Christmas. We had credit card debt, a student loan, cars that were 10 years old and always needing repairs, and a mortgage that was underwater due to the tanking housing market. 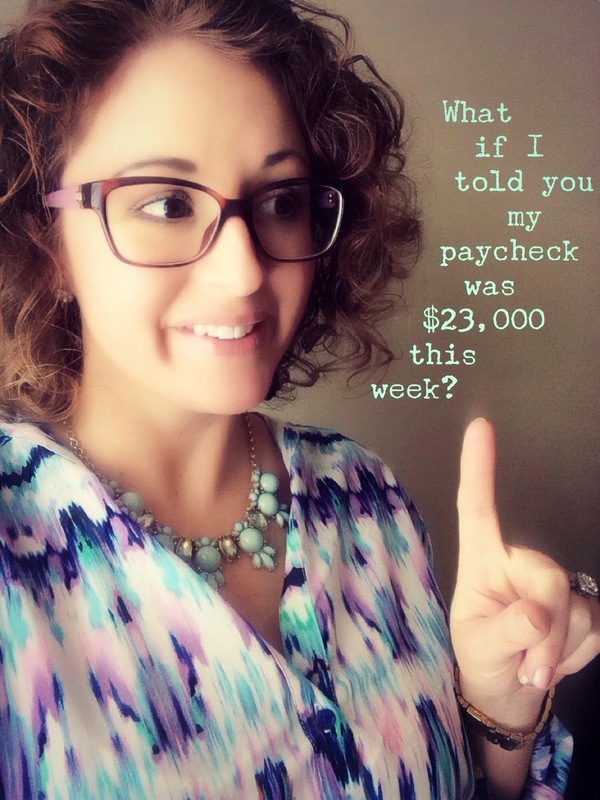 With only my husband working and me staying home with our girls how was I going to help? Was I going to go back to work full-time? And when? Now or once my girls were in school full-time a few years down the road? All of those thoughts just turned in my head night after night. So... I went for it! What did I have to lose? 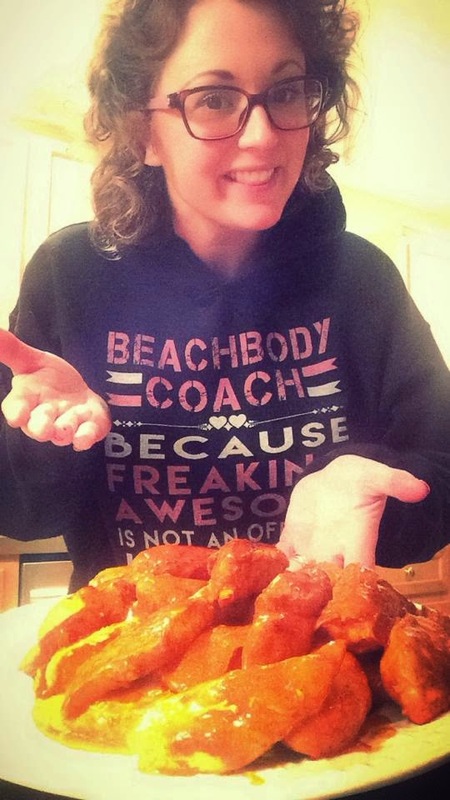 I was going to become a Beachbody Coach and I was determined to make this work. If it had changed my life, it could surely help others too. 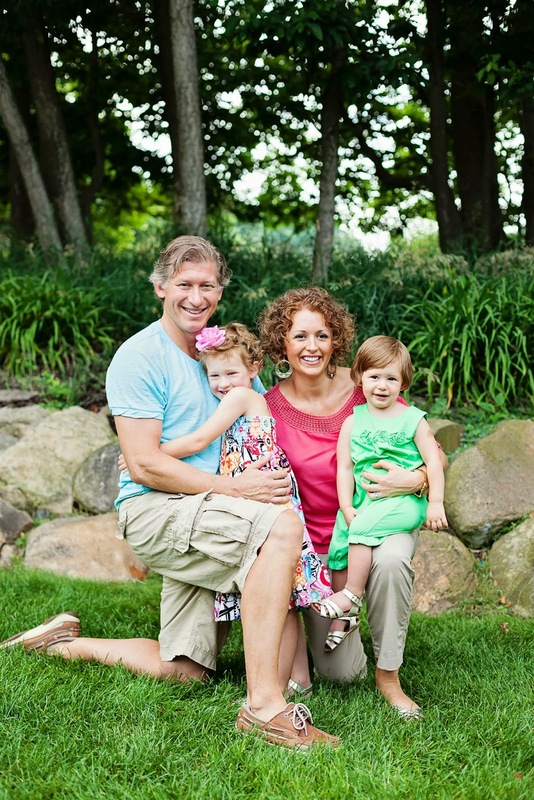 And well, nearly 4 years later with a team of 4,000 coaches, hundreds of transformation stories, and an income that has created true freedom for my family I guess you could say that one little decision was life changing. I don't really believe in luck. I didn't get here by luck. I got here by hardwork, determination, perseverance and a belief that I could do more & be more. And along the way I found my faith and I met God. I never would have believed you if you had said my destiny in life was to be a top Beachbody Coach and help others change their lives, but the way God led me down this path is truly remarkable. He gave me the light and in turn, helped me SHINE. It was 1 degree here this morning. 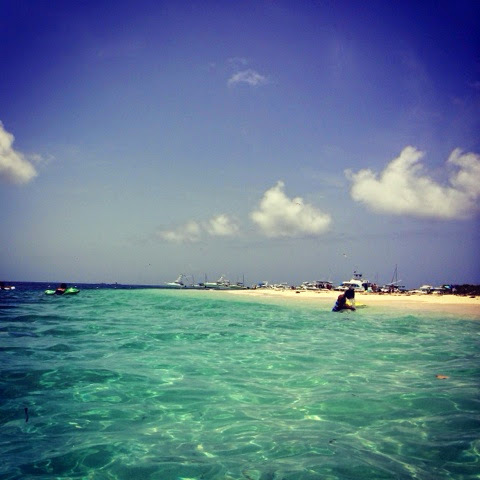 And it felt like -27, so I think it is safe to say I am daydreaming about our upcoming Puerto Rican vacation. We have fallen in love with Puerto Rico. 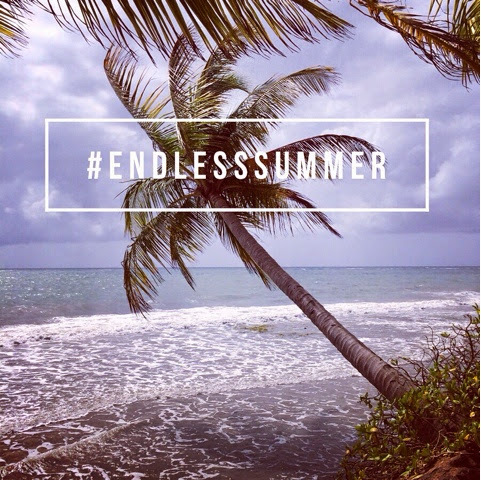 It's a quick escape... you can easily fly there from the states and there is no delay in customs, since Puerto Rico is a US territory. We have stayed at a resort once. We rented a condo on our 2nd trip this past summer and in January we've rented a house! 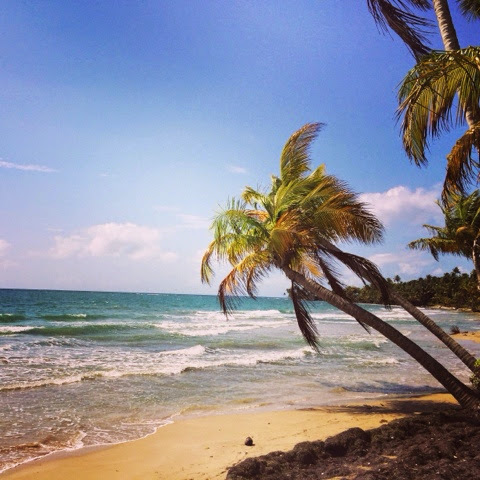 I think we will eventually buy a place in Puerto Rico, so we've been slowly working our way around the island deciding which spot we love best! This is a good problem to have! And the final bonus, I can run my home-based Beachbody business from Puerto Rico, so I get warm winters in the sunshine and awesome Michigan summers when I return home. 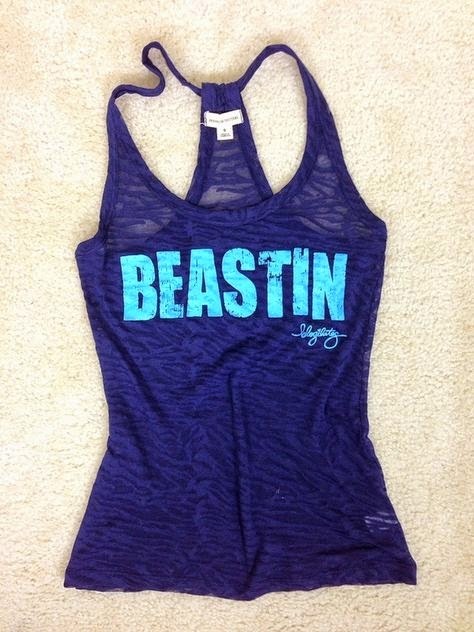 It sounds like the best of both worlds to me. 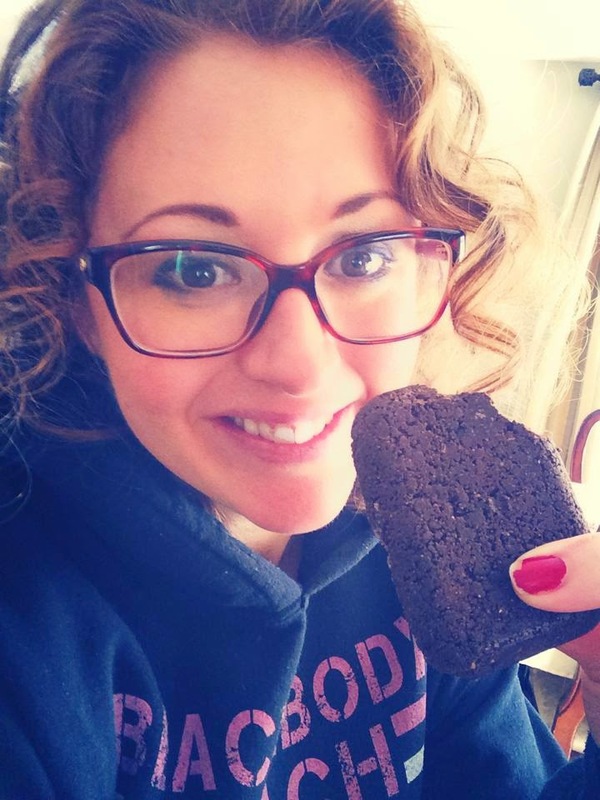 I am not sure I love anything more than I love a chocolate brownie or cake or cookie. I am human and I am a woman and at this point in my life I refuse to live life depriving myself of certain foods I like. So... in comes the flour-less double chocolate black bean brownie and yes, they are amazing!! Here's how to make a pan of your own that the whole family will want to devour too. Preheat the oven to 350° F. Grease a nonstick 8 x 8-inch square baking pan with baking spray and line with parchment paper to prevent sticking. Blend the black beans, eggs, cocoa powder, stevia, coconut oil, coconut milk, vanilla, baking soda, baking powder and ground coffee in the blender until smooth and pour into a bowl. Fold in 1/4 cup Enjoy Life chocolate chips until combined. Pour the brownie batter into the prepared pan. Sprinkle the remaining chocolate chips evenly over the top of the brownies. Bake the brownies for approximately 30 to 32 minutes. Allow the brownies to cool completely before slicing them into squares. Makes 12 squares. 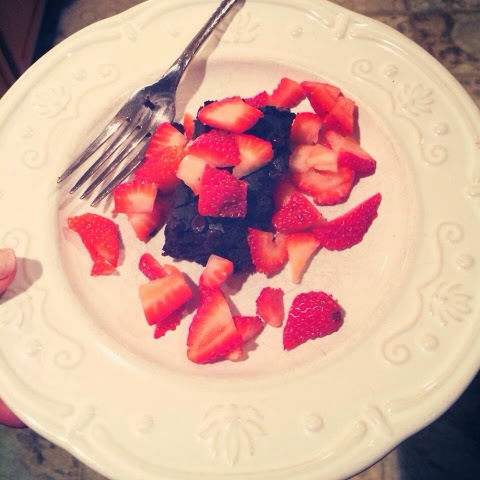 Top with berries for a delightful dessert!! As moms I think we're all guilty. The kids come first. Our husbands come first. Dinner comes first. Dishes come first. Laundry comes first. Cleaning the house comes first. And basically at the end of the day we realize everything else came first, but us and we are left feeling spent with nothing left for ourselves. It is a bad position to be in. So for 2015 I decided I would make a lot more pro-me choices! My time spent reading, working out or hanging with my family was going to come first. I've worked really hard on building a business from home over the last 3.5 years and I feel like now I get to make more pro-me choices than ever before. I've created freedom for my family and this gives us the option to choose more down time, to hire a cleaning person to come more, and for me to stress less. I've also committed to reading more in 2015. It is something I often put on the back burner last year, because I was so busy. I realize now that's not a very pro-me decision. And that's not good. So I am digging into 26 new books this year. So here's book #2. 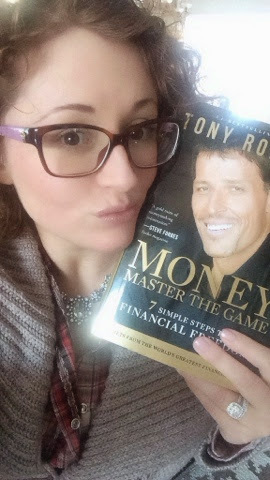 I can't wait to "master the money game" for me, my family, my team and my business! 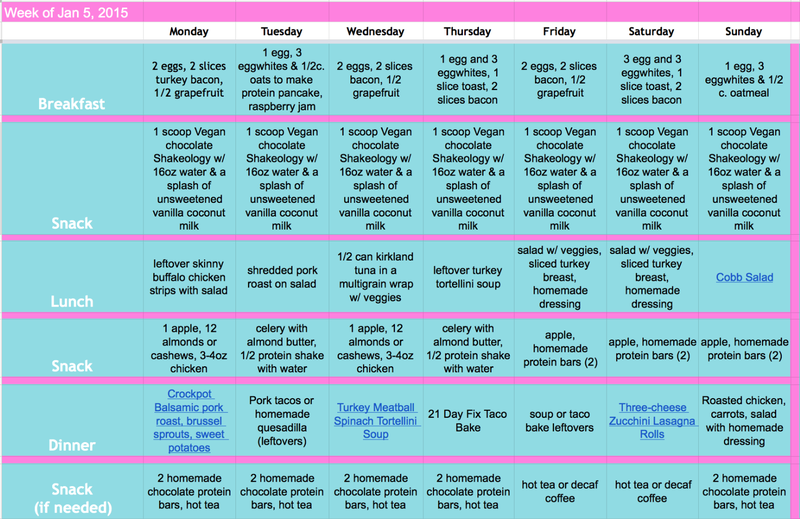 Each week I work on making a meal plan that works for me and my family. I've learned over time that a few things might change here or there... in life I have to be flexible, but I do so much better with a plan, don't you? I know what to buy, I've got some ideas down for my meals, and one of my goals this year was to try at least one new recipe a week, so you'll notice a few on here!! 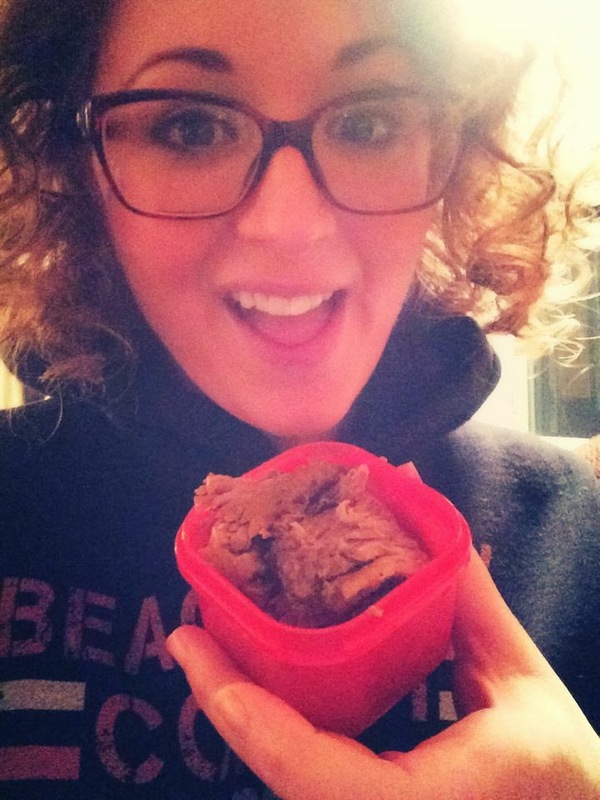 I follow the Portion Fix/21 Day Fix meal plan, so you'll find a lot of these recipes very easy to measure with your containers and plug into your 21 Day Fix app. So this Sunday evening (not shown above) I decided to make something different. My husband was planning to watch the Lions game and these Skinny Buffalo Chicken Strips sounded FAB. Audrey and Finley were begging for leftover spaghetti, so I knew it was the perfect opportunity to try something a bit more spicy for Jeff and I. And..... they were a hit! Well if you're anything like my family, tomorrow it's back to the real world. Hubby off to work, children off to school and me... back to working from home with a bit more of a schedule than I've had these past 2 weeks. Christmas break was fabulous, but I'm ready to get back to some normalcy around here. Enjoy your first official full-week in the New Year, make it healthy!! I know it is easy to get so caught up in the busyness of life that we often forget the good or amazing when something negative happens. 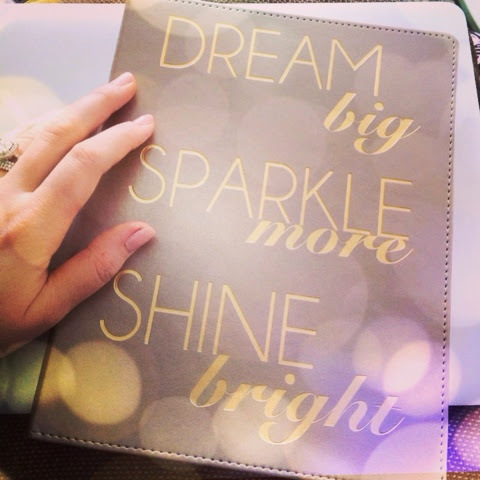 I found this little journal at TJ Maxx yesterday and I plan to use it to record something I am grateful for each day. It has 365 entries and today I am already onto day 3. I think this will be an amazing memento to look back at when 2015 is over. In other news I am kind of obsessed with light pink right now. I was getting dressed for our date night last night and I could not help but pair up everything pale pink in my closet with my skinny jeans. Today I am grateful for my new little book, pale pink, getting glam & date nights. 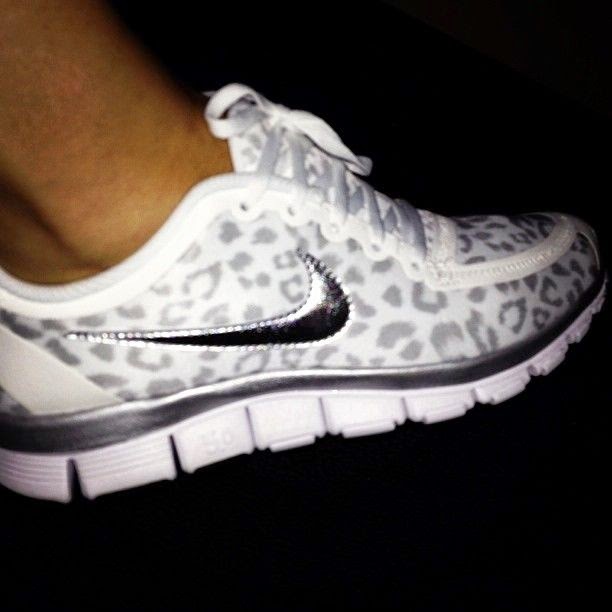 I'd like to think fitness & fashion go together like milk & cookies. 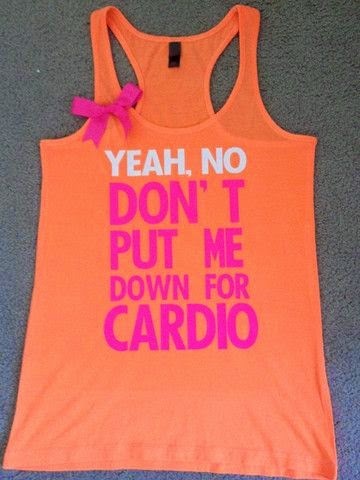 Or like weights & cardio. Or Chanel & fabulous. 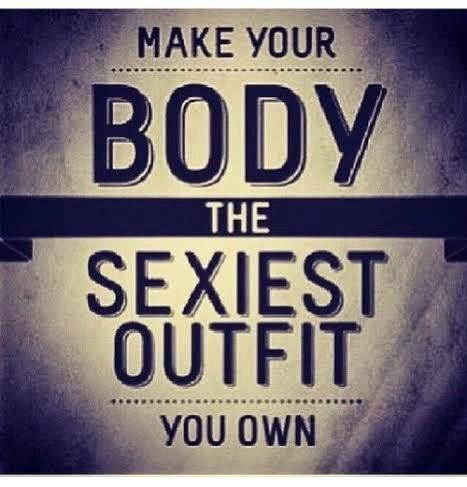 But seriously, when I'm working out hard on my fitness goals part of me is thinking, "I'm doing this to feel great in anything I want to wear!" 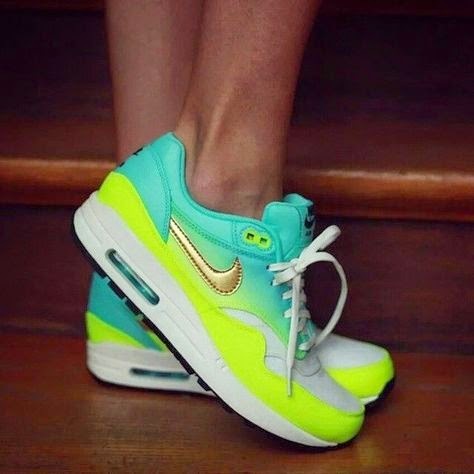 and the other part of me is thinking about the goal, "Leslie, when you hit that fitness or health goal, get those shoes girl!" 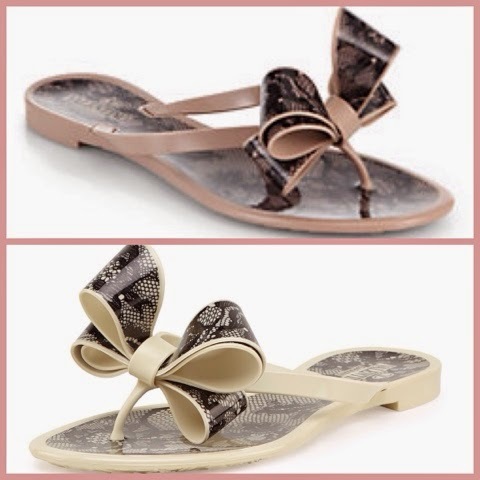 I mean, wouldn't you work a little harder if you could reward yourself with something pretty?! Maybe it's just me, but I've learned I'll work harder for a new handbag than for a cookie any day. 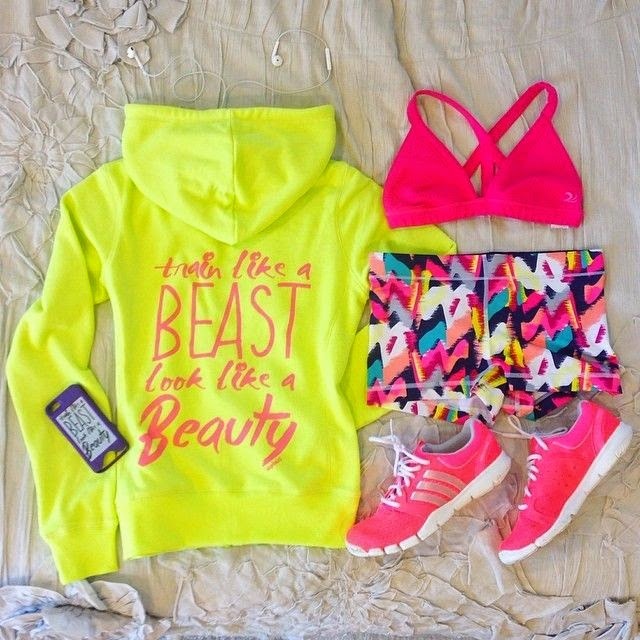 So go on... set a fitness goal and a fashion reward to match. I can't wait to hear how you work harder to make it happen.